This is a topic suggestion on Higher Thinking from Paper Masters. Use this topic or order a custom research paper, written exactly how you need it to be. When an individual progresses through various levels of understanding, they are said to possess the traits of higher level thinking. Many of the theories related to higher thinking are based on various taxonomies of education, including Bloom’s taxonomy. In this model, individuals gradually progress through various levels of understanding and interpretation, increasing the depth at which they are thinking as they progress through the various levels. Educational psychology is rooted in this upward progression, for if a student fails to improve upon the way they think, they are unlikely to display the traits of overall learning. 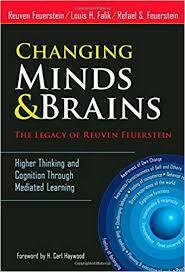 Lower levels of thinking are rooted in the memorization of facts or the comprehension of materials. Individuals who can recite multiplication tables or identify the main idea of a story are said to be functioning at the lower levels of thinking. As one progresses, though, they can begin to apply their knowledge, marking their entry into higher levels of thinking. When students can employ their learning in practical situations, they are progressing upward. Even higher is the concept of analysis; when students can understand why something is the way it is, or why something happens, they are said to have analyzed the situation, using higher levels of thinking in the process. The highest levels, though, are rooted in synthesis and evaluation. Those who engage in the process of producing something new based on what they know are working at the highest levels of thinking; when they can evaluate a source or determine whether or not an appropriate decision was made, they are also engaging the highest orders of thinking. One can easily see the progression from lower levels of thinking to higher levels by looking at these various categories, each essential to educational growth and development. Taxonomy of Learning - Taxonomy of Learning research papers discuss Bloom's Taxonomy system and examines it's purpose. Learning Objectives - Learning Objectives essays examine how many learning objectives follow Bloom's Taxonomy of educational objectives. Domains of Learning - Domains of Learning research papers discuss the four domains of learning. Instructional Theory - The most widely-used source of instructional theory comes from Benjamin Bloom, a professor at the University of Chicago. Cognitive Domain - Research papers on cognitive domain discuss one of three areas of development in the taxonomy of learning domains developed by Howard Bloom. Gifted Students - Finally, working closely with Bloom's Taxonomy can help teachers to ensure the continuous challenges being presented to gifted/talented students. Memory - Research papers on memory discuss the psychology of memory and look into the advancements made toward understanding the processes of memory development. Paper Masters writes custom research papers on Higher Thinking and discusses the differences of thinking from the lowest level to the highest level.